I started out today’s article with the three pictures above because I wanted everyone to take note of them. I’m hopeful that you studied them and all the pieces in the displays before you got down to my ramblings, and, if not, that you’re going back and doing that now before continuing on. Do we have everyone and are you keeping your hands, arms, legs, and feet inside the Bob-A-Round? Then on with the show! This display wraps around the corner on the bottom floor of the Polynesian Village’s Great Ceremonial House, along the hallway as you make your way to Capt. Cook’s. Given that it’s static and that it could be considered off of the beaten path, it would be understandable if it’s often overlooked. However, there is a lot of history behind these windows. 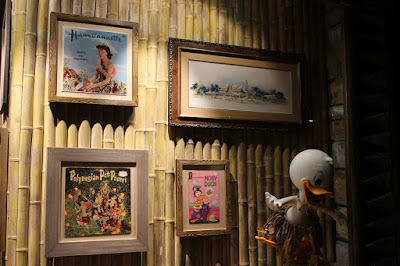 The thread that connects all of these pieces is the Polynesian theme itself. There are a plethora of records, many of which feature the Pineapple Princess herself, Annette Funicello, several photographs from the early years of the resort, concept art and construction photos of the Sunshine Tree Pavilion, and a handful of film nods. Long story short, if it ties into the island theme, it has a place in this exhibit. My real question is why isn’t this happening all across Walt Disney World? Port Orleans French Quarter/Riverside – New Orleans has been the focal subject matter for Disney is on numerous occasions, including New Orleans Square, Princess and the Frog, and Walt’s own travels to the area (where he found his inspiration for Audio-Animatronics). And these are only the tip of the iceberg! Wilderness Lodge/Fort Wilderness – Do I need to say more than Davy Crockett and Yellowstone Cubs? How about Western River Expedition, Frontierland, Woody’s Round-Up, Westward Ho, Fort Wilderness Railroad, the Apple Dumpling Gang, and the Golden Oak Ranch. Did I mention Yellowstone Cubs and Davy Crockett? Animal Kingdom Lodge – This would be the perfect place to highlight the early nature documentary series, the True Life Adventures, including The African Lion, and some of the rarely seen concept art for Epcot’s never built Equatorial Africa pavilion. Coronado Springs – Zorro and a deeper exploration of Saludos Amigos and The Three Caballeros, enough said. 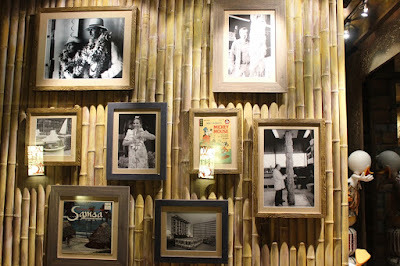 Caribbean Beach – There is so much that could be done just with the Pirates theme. Yacht and Beach Club – Sailing is a huge part of Donald’s history would definitely fit in with some of the other nautical tales of Disney past. 20,000 Leagues Under the Sea, Seal Island, and Walt’s love of cruising all jump to mind. Aside from the Polynesian Village this honoring the Disney heritage of the past is happening, in small ways, at the value resorts of all places. Art of Animation features a chandelier where animators, actresses, actors, and others tied to films come to sign pieces commemorating their films. 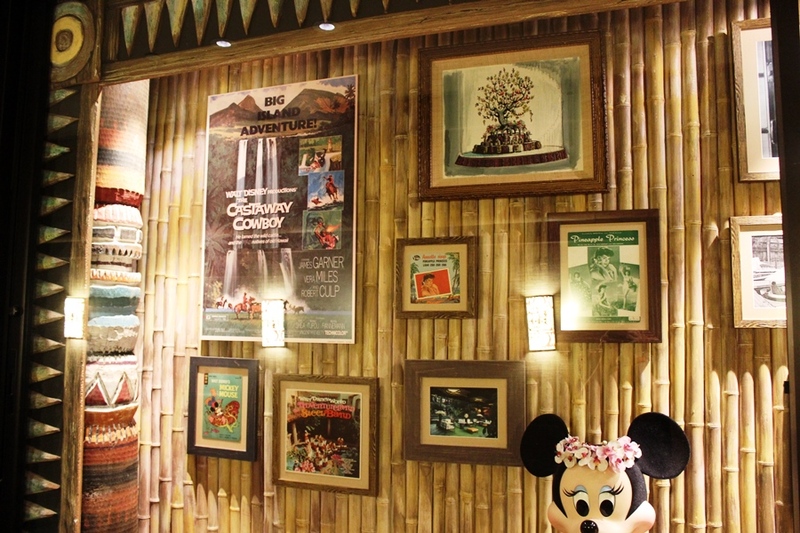 Over at Pop Century, the registration area features display after display of artifacts tied to various decades. Last, but not least, each of the All-Star resorts feature a hallway filled with legendary stars of film, sports, and music, depending on the specific resort. While these may not be the most focused displays, they are making a concerted effort. Disney isn’t just a place we visit, or a distraction on our television screen and at our local theaters, it is a part of our everyday lives. Likely, it has been for a very long time. I love what the Polynesian has done to give a nod to all the corners of its foundation. Isn’t time the rest of the Vacation Kingdom’s resorts followed suit? Yes I would. I think I've mentioned this somewhere before - the interconnectedness of all things Disney with everyday life.